Your hair is one of the best accessories you have. You can experiment with it by coloring, cutting, curling, braiding and more. Even though hair color is used to achieve a desired look, it does contain harsh chemicals that can gradually cause hair damage. Herbs are a timeless, natural alternative that can enhance hair color without chemicals. Whether you are a blonde, redhead, brunette or somewhere in between, there are herbs for everyone. 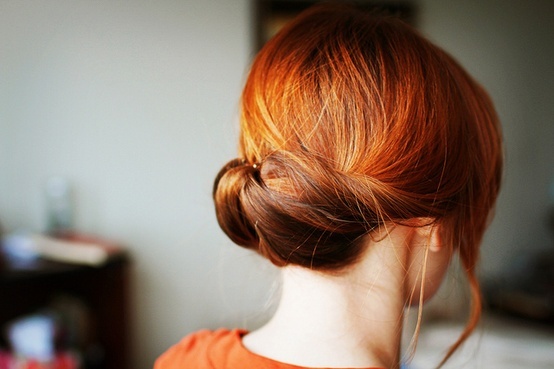 Here are a few that will naturally liven up your hair color. Chamomile can be used as a weekly rinse or lightener. It can be applied directly to hair for lightening or added to shampoo or conditioner for a gradual lightening. Calendula can lighten and highlight hair and combines well with chamomile. Steeping chamomile and calendula tea bags will work just fine. Lemon is highly acidic, so it’s better to use lemon peel because it is milder. Make sure to use it in moderation. Cloves bring out natural highlights in darker hair. Cinnamon can lighten your hair without destroying the delicate oils that keep your hair beautiful and shiny. Marigold can produce gold highlights in brown hair. Sage is one of the oldest colorants for dark brown and black hair. To darken hair you can boil sage leaves for 30 minutes to make an infusion. For a deeper color, sage should be boiled longer. Once it’s cooled, you can pour it through the hair as a rinse. Just like cloves, rosemary also brings out the highlights in dark hair, which makes it ideal. Black tea is an effective dye for darkening hair. Calendula not only works on blonde hair, but red as well. Hibiscus can enhance the red tones in your hair and gives it a nice shine. Paprika can be used to redden hair or add red highlights. Herbs are not only chemical free, but a greener way to achieve the color you prefer. Experimenting on a section of your hair would be best to make sure that your hair color comes out exactly how you want it. Good luck! For Blonde hair: Do you rinse out the Chamomile? Just spray it on with like a spray bottle, or is it meant to soak like a hair mask?